Rogers wrote in his blog that the main reason for the "overdue stock market correction" is that it "has gone up too long, too far, too fast but interest rates are also going higher and there are problems in Washington with the government". 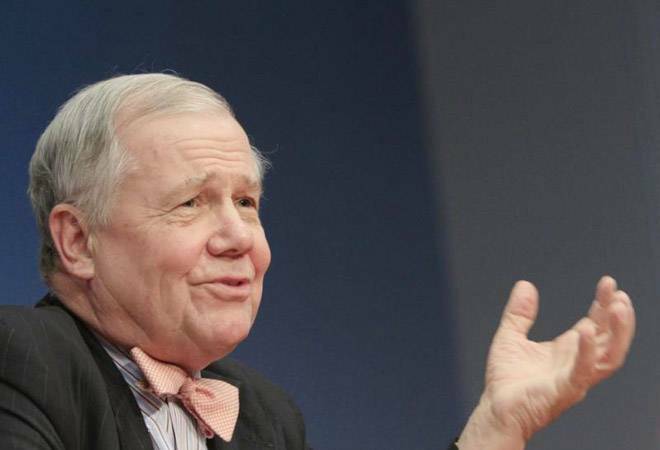 Here's a buzzkill for all those thanking God that it's Friday: Jim Rogers, the 75-year-old chairman of Roger Holdings and legendary investor who co-founded Quantum Fund, has just announced that the mother of all bear markets is on the cards. Given that the man was busy shorting the shares of soon-to-tank Wall Street investment banks well ahead of the 2008 financial crisis, this certainly has our ears perked. "When we have a bear market again, and we are going to have a bear market again, it will be the worst in our lifetime," Rogers, told Bloomberg in a phone interview. To be sure he is not saying that the US stock market is already entering bear territory, nor does he claim to know when that might happen, but he claims he isn't surprised by the ongoing sell-off and he expects the rout to continue until the Federal Reserve increases borrowing costs. "I'm very bad in market timing," Rogers said. "But maybe there will be continued sloppiness until March when they raise interest rates, and it looks like the market will rally." Separately, Rogers wrote in his blog that the main reason for the "overdue stock market correction" is that it "has gone up too long, too far, too fast but interest rates are also going higher and there are problems in Washington with the government". Now here's the worst bit of news: In his latest blog post, Rogers wrote that "Nearly all markets will be affected in the same way, especially India because Mr. Modi is now coming up with a capital gains tax...India will probably be worse affected than other markets." Including today's losses, the Dow and S&P 500 have now reportedly crashed by over 10% from their peaks in January. At home, the Sensex slumped 407.40 points or 1.18% to 34,005.26 and the Nifty dropped 121.9 points or 1.15% to 10,454.95 at closing bell. Rogers firmly pins the blame for this state of affairs on rising global debt, which according to him was a key cause for the 2008 financial collapse. "Debt is everywhere, and it's much, much higher now," he told Bloomberg. A recent analysis by the Institute of International Finance pegs global debt at a record $233 trillion in the third quarter of 2017, over $16 trillion more than end-2016 levels. But before you rush, screaming, to exit the markets, you should know that this is not the first time that Rogers has talked about the worst market crash of our lifetimes. He has been saying it since 2011. No wonder Alibaba Group Holding Ltd. President Mike Evan took a potshot at him saying, "Jim has been talking about severe corrections since I started in business over 30 years ago. So I'm sure he'll be right at some point." The trouble is that in the past year or so, he is no longer the only one saying this. Several big names including Marc Faber, publisher of the Gloom Boom & Doom Report, Altair Asset Management's chief investment officer Philip Parker, Forester Capital Management's Tom Forester and former Reagan Administration White House Budget Director David Stockman have joined the chorus. Perhaps the fact that the last global bear market was in 2008-09, which makes for a longer than average bull-run, is making everyone jittery.